Disability Benefits Available for Some Heart Disease Patients - Harrison White, P.C. Approximately 26.5 million adults — about 11.5% of the U.S. adult population — have been diagnosed with heart disease, according to the Centers for Disease Control and Prevention. Symptoms can include shortness of breath, dizziness, weakness and nausea. For some people, the symptoms are so debilitating that work is not possible, making them eligible for Social Security Disability benefits. Certain kinds of heart disease can lead to an expedited disability determination by the Social Security Administration. The SSA includes certain types of cardiovascular disease in its Listing of Impairments or Bluebook, a list of disabling illnesses that are permanent or expected to result in death. Generally, people with impairments on the list can get disability payments faster than they would for other conditions. The SSA determines the severity of the heart disease using the results of an exercise stress tolerance test, often measured in metabolic units (METs). Five METs or less signals a disability for most of the cardiovascular diseases in the listing. An exercise test result of less than 5 METs or equivalent. Ischemic heart disease. 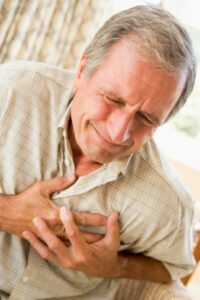 Ischemic heart disease is the cause of heart attacks. It refers to plaque buildup within arteries that cause a slowdown of blood flow to the heart. The requirements for a decision of disability are specific and can be found at the SSA’s cardiovascular disease listing. Recurrent arrhythmias. Arrhythmia refers to irregular heartbeats. While many people experience arrhythmia, there are cases where the irregularity leads to lack of blood flow that can damage the brain and heart. The SSA recognizes arrhythmias that are recurrent and irreversible and cause an individual to almost pass out or pass out entirely. Symptomatic congenital heart disease. The SSA considers people born with irregularities in the structure or function of the heart to be disabled if they experience blue skin at rest due to oxygen deprivation (cyanosis) and at least one of three other symptoms. Heart transplant. Post-transplant, the SSA considers the individual disabled for one year. Aneurysm of aorta or major branches. An aneurysm refers to a balloon-like bulge of blood in a weakened or damaged artery wall that either ruptures or causes the wall to split. The SSA considers the condition disabling when a wall split or dissection is not being controlled by medication. Chronic venous insufficiency in lower extremities. Where the veins cannot pump enough blood back to the heart, certain severe symptoms can result. The SSA recognizes chronic venous insufficiency as a disability where extensive brawny edema or recurrent or persistent ulceration appears. Peripheral arterial disease. Peripheral arterial disease in combination with intermittent limping and certain systolic blood pressure measures signals a disability to the SSA.